Huntington Learning Center franchise business opportunity. Free Huntington Learning Center business franchise information. 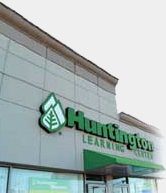 Founded in 1977, Huntington Learning Center is the pioneer and a leader in the franchise learning center industry. Each year, we provide quality instruction to tens of thousands of students in kindergarten through 12th grade through our national network of franchised and company-owned Huntington Learning Centers. Parents trust us because they understand our mission is to give every child the best education possible, and we do this by building the basic skills needed to succeed in school. By providing quality, individualized instruction we’ve established a reputation for educational excellence among parents and teachers. Huntington offers one of the most rewarding franchise businesses available today! So why wait any longer to achieve your personal and financial dreams? Click the “Get Qualified” button below to fill out an application NOW. Total investment for opening a Huntington Learning Center is estimated at $160,000 to $275,000. Your cost will vary depending upon your center’s location, size, leasehold improvements and other variables. Financing is available through third-party lenders. Offered by prospectus only. To learn more about the Huntington Learning Centers franchise opportunity, simply complete the form below.